Lightweight, oil-free sun protection that addresses anti-aging issues and provides moisture. Great for the whole body! Keep skin protected every day with this best-selling, oil-free, anti-aging moisturizer. Multi-Protection Broad-Spectrum SPF 50 Professional SIze is formulated with three peptides and potent antioxidants to brighten your skin. 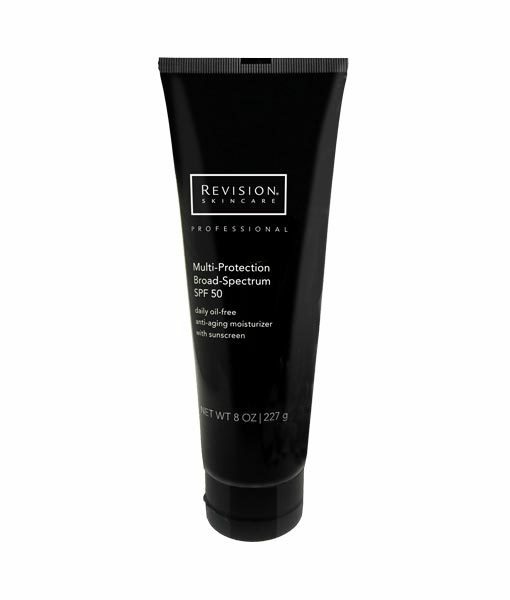 The Multi-Protection Broad-Spectrum SPF 50 Professional Size contains 8 oz of product which is almost 5 tubes of the regular size. Blend of White Birch Extract, Yeast Extract, Plankton Extract and Coenzyme Q10.Helps reduce the appearance of fine lines and wrinkles. 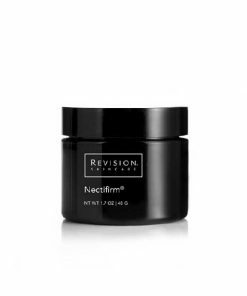 At Rejuvent Medical Spa in Scottsdale, we recommend this product to all our patients as it has a luxurious feel and offers extraordinary protection, it can be applied on the face without causing breakouts as well as the entire body. Patients that had Chemical Peels, FotoFacial IPL, Microneedling, and PRP Treatments should resume application after the treatment sensitivity wears off, some patients can apply this product right after treatment. What is the difference between UVA and UVB rays? UVA rays penetrate the skin deeper than UVB rays and are more responsible for premature aging such as wrinkling and leathery skin. UVB rays cause the skin to burn. UVA rays penetrate through clouds and glass. Does this product contain antioxidants? Yes. 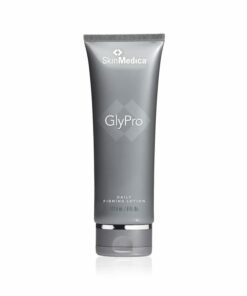 Multi-Protection SPF 50 contains Green Tea, Pomegranate Extract and Vitamins A and E.
This product is featured in Dr. Kelly Bomer’s Anti-Aging Series: BODY Skincare Anti-aging and Rejuvenating watch the video below. Apply evenly to area as part of your morning routine. This should be the last step before make-up application. Apply liberally 15 minutes before sun exposure. Active ingredients: Avobenzone 3.0%, Homosalate 3%, Octinoxate 7.5%, Octisalate 4.0%. Inactive ingredients: Water (Aqua), C12-15 Alkyl Ethylhexanoate, Cyclopentasiloxane, Cetearyl Alcohol, Polyglyceryl-3 Methyl Glucose Distearate, Boron Nitride, Sorbitol, Glycerin, Glyceryl Stearate, PEG-100 Stearate, Butylene Glycol, Tetrahexyldecyl Ascorbate, Yeast Extract (Faex),Camellia Sinensis (Green Tea) Leaf Extract, Epigallocatechin Gallate, Betula Alba (White Birch) Bark Extract, Biosaccharide Gum-1, Ubiquinone, Cetyl Dimethicone, Palmitoyl Tripeptide-5,Squalane, Sodium Hyaluronate, Palmitoyl Dipeptide-5, Diaminobutyroyl Hydroxythreonine, Punica Granatum (Pomegranate) Extract, Plankton Extract, Steareth-20, Tocopheryl Acetate, Allantoin,Lecithin, Tetradecyl Aminobutyroylvalylaminobutyric Urea, Trifluoroacetate, Glyceryl Caprylate,Carbomer, Leuconostoc/Radish Root Ferment Filtrate, Tocopherol, Steareth-10, Jojoba Bean Meal,Disodium EDTA, Magnesium Chloride, Potassium Sorbate, Fragrance (Parfum).